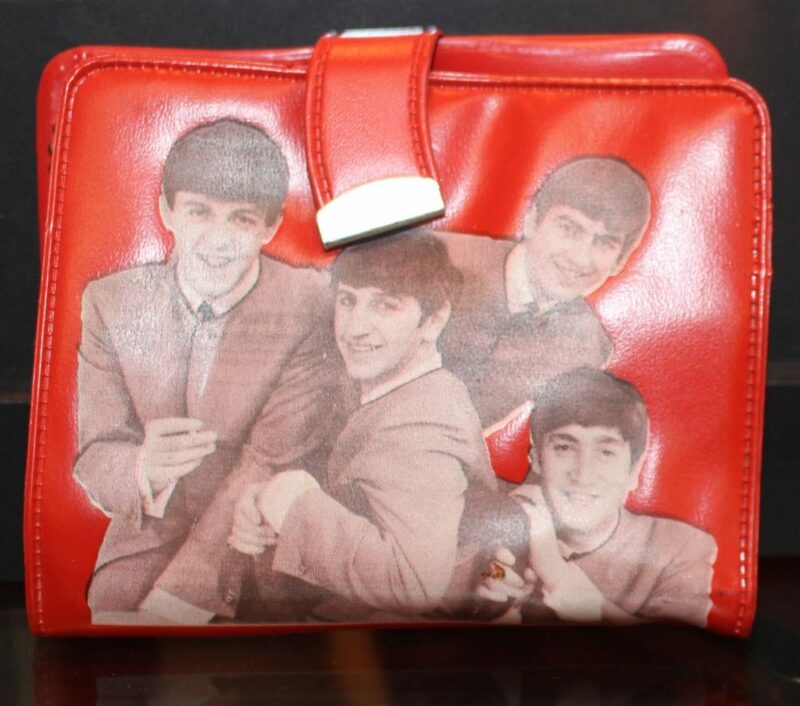 We acquired this 1960s Beatles wallet from its original owner. Red vinyl with The Fab Four on the front. Very good condition.